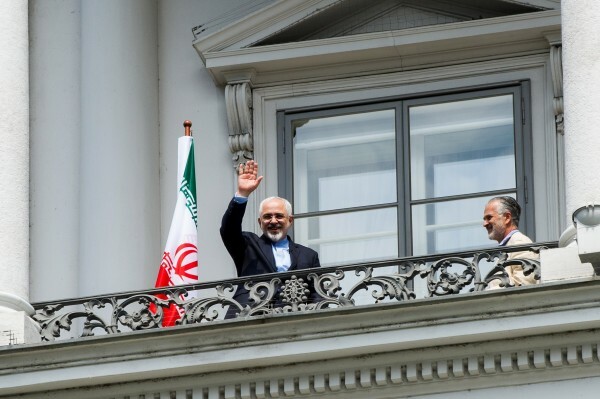 The ongoing negotiations between Iran and the permanent members of the UN Security Council – and Germany – over Tehran’s nuclear program are no closer to a deal today than they were last week. The original deadline to reach a deal, June 30, was replaced with July 7, then a July 10 target date. With an agreement unlikely today, US Secretary of State John Kerry told reporters in Vienna – where the talks are being held – that diplomacy can’t be rushed. He did not specify how much longer the talks would continue, however, he said that Washington was prepared to walk away from negotiations if it appeared Iran was unwilling to budge. The Iranian delegation in Vienna says that the US must commit to its promises and respect Iran’s “red lines”. But it also accused the Americans and their allies in the talks of changing positions. Iran and the permanent members of the UN Security Council – also known as P5+1 – reached a tentative deal in Lausanne, Switzerland on April 2. That deal said Iran would curb its nuclear program in exchange for a lifting of punitive economic sanctions. The tentative text states that Iran would be allowed to keep some of its nuclear research, limiting the number of centrifuges (needed to produce fissile material for an atomic bomb) to about 1,000. However, the centrifuges would contain no fissile material. Iran would also have to submit to very intrusive inspections by weapons experts in the months ahead. The inspections and the timing of the removal of sanctions had been contentious issues throughout June. However, Iran later demanded that an arms embargo also be lifted. Russia, a member of the P5+1, strongly supports lifting the international arms embargo. Russian President Vladimir Putin welcomed his Iranian counterpart Hassan Rouhani to Ufa where the 7th BRICS Summit had just ended, and on the eve of the beginning of the 15th Summit of the Shanghai Cooperation Organization (SCO). Iran has observer status at the SCO but could attain full membership. Putin called Iran a “reliable partner” and told his guest that he hoped the negotiations in Vienna could be resolved quickly and comprehensively. Rouhani thanked Russia for its support regarding the nuclear program talks, and singled out Foreign Minister Sergei Lavrov for his efforts in Vienna.